Judith (Jude) Redfern was born on 30 November 1972. She started her research career in 1993 as a student working at the Home Office on the British Crime Survey. After graduating in mathematics and psychology from the University of Sunderland, she moved into health services research. Her first research post was at University College London (UCL) working with Professor Ann Bowling on a study into the appropriateness of outpatient care in the North Thames region. Ann recollected that Jude ‘was a totally committed and talented researcher and Jude’s passing is a really terrible loss’. In 1997 Judith moved to the Royal Free Hospital School of Medicine to work with Professor Shah Ebrahim on a national survey of stroke services funded by the Stroke Association and at the same time began studying on the then joint UCL/King’s College London (KCL) MSc Health Psychology programme between 1997 and 1999. 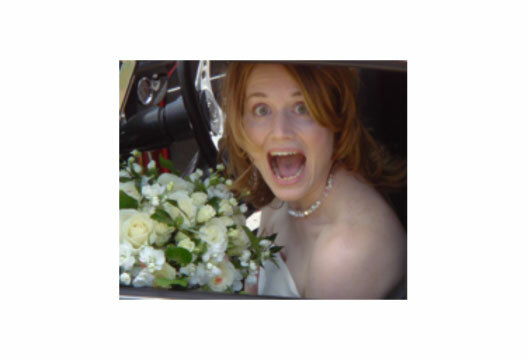 I (Carrie) met Jude in 1997 on the master’s course and we became firm friends, Jude was instrumental in me meeting my husband and getting my first ‘proper’ job at UCL (both 20 years ago) and latterly helping me through my own cancer journey. After submitting her PhD in 2006, she became a lecturer in health services research, continuing her work in stroke research as part of the SLSR team. She was the chief investigator on a Stroke Association-funded national study into the longer-term needs of stroke survivors. In 2010, after two periods of maternity leave and a move to Hampshire, Judith took a career break to look after her young children. She was given an honorary lecturer post with the stroke team at KCL. Judith returned to paid work in February 2013 to take up a part-time lectureship in Health Services Research at the University of Surrey. In collaboration with teams at KCL and the University of Central Lancashire (UCLAN) she continued to develop her research interests in complex interventions and healthcare management for stroke survivors obtaining funding to investigate risk factor management in stroke and TIA over time. Judith’s role also included a 50 per cent teaching commitment and she used this to complete her Graduate Certificate in Teaching and Learning; developed and led the MSc module Critical Appraisal and Evidence-Based Practice; was co-lead on a second module Innovating Clinical Practice; and contributed to teaching on undergraduate and postgraduate courses including Advanced Research Methods. Jude was diagnosed with advanced cancer in late 2015 but was determined to live the remainder of her life as fully as she had before her diagnosis which was testament to her positive outlook. She was a keen clarinet player, swimmer, festival goer, seamstress, marathon runner, mountaineer, mother and wife. Jude had a wide and varied circle of friends and family who were privileged to experience her open, welcoming and generous nature and her outstanding sense of humour. In 2017 Jude rediscovered her artistic talent and she leaves a legacy of exquisite sketches and acrylic paintings representing many of her favourite things, including trips she took with her family in 2017: Bishop Rock Lighthouse, Hugh Town on St Mary’s, Troy Town campsite, the Norfolk Broads, Old Man of Coniston, Agapanthus flowers, her family, and her friends’ pets; in addition to her publications in the field of stroke research. Jude sadly passed away at home on Friday 9 February 2018 surrounded by her family and friends. Jude is survived by her husband Stuart, her three beautiful children and her parents and brother, she will be much missed.